In these times of accelerated media and an exponential growth in the volume of mew works being cast out into the world, it’s often easy for lesser-known items from the past to be lost to history, to be buried and forgotten. And yet the archive is an eternally rich source of gens which so deserve rediscovery. This album – released simultaneously on 10”vinyl, CD and download – is very much a labour of love. 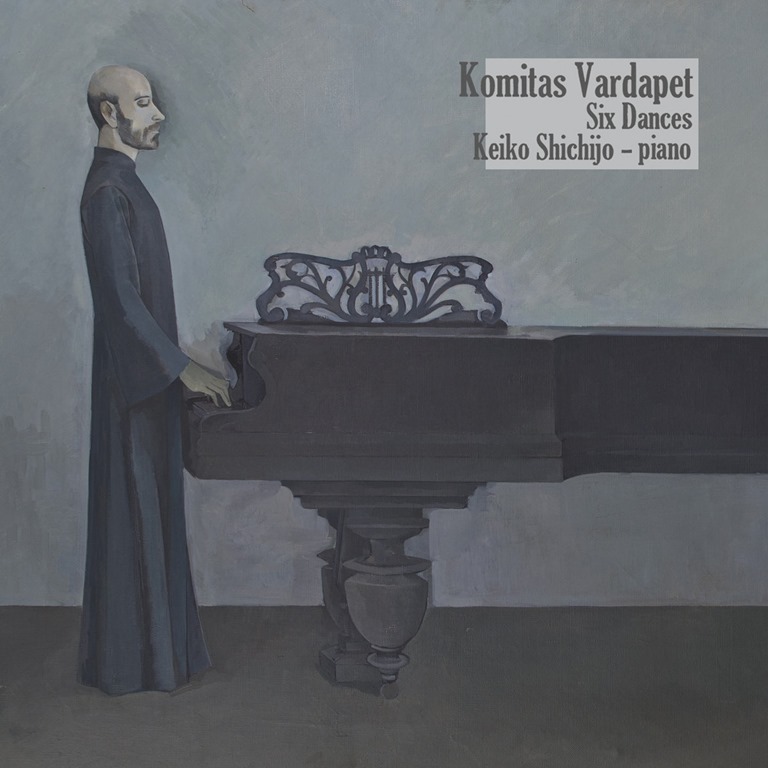 The origins of its existence lie in the past: Komitas Vardapet penned a cycle of pieces for piano – Six Dances – based on Armenian dances, in 1906. Makkum Records’ Arnold de Boer writes how, on hearing Keiko Shichijo perform Vardapet’s compositions, he fell in love with the music, and how Internet searches revealed other performances of Six Dances but none which touched Keiko’s. and so he made it his mission to capture Keiko playing the pieces, and how it came to pass that Keiko played them on a Steinweg Nachf piano, built in 1880, in the Geelvinck Hinlopen Huis in Amsterdam, a 16th Century house along the city’s canals in December 2014. In using such a vintage instrument, the recordings are imbued with a deeply ingrained and palpable sense of the origins of the work. ‘Unabi’ sounds like a child learning ‘London Bridge’: the notes are not so much tentative as prone to wandering, but there’s something compelling about the seemingly innocent disjointedness which sometimes creps into the refrain. The looping motifs of ‘Shushiki’ are delicately charming, and draw the listener’s attention with their easy grace. The heavy timbre of the low notes at the beginning of ‘Het u Araj’ is compelling, and Kieko captures the spirit of the composter’s direction to perform the final piece ‘Shoror’ .The performances are wobbly, wonky, yet delicate and sincere, and this is an integral part of their mystical, dust-coated appeal.